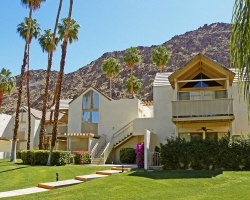 Only minutes from Palm Springs lies the unparalleled desert sanctuary that is Indian Wells, California. Here, stunning mountain vistas and majestic palm trees play backdrop to some of the world's finest resorts and spas, golf, tennis, shopping and several year-round recreational activities. Welcome to Indian Wells, your desert oasis and the ultimate haven for endless relaxation! Enjoy picture perfect vacations the whole family will love! Week 42! Buyer may receive a title fee credit, inquire for details! Weeks 13, 27, Plus A Floating Week Every Year! Buy Now! 3 Week Package - All Red Season! Lovely resort located in the heart of Southern California! Perfect vacation for nature lovers! Inquire today! Enjoy exploring the beauty of Southern California! Picture perfect vacation the whole family will love! Start planning your trip today! Get away from the stresses of life and relax at this lovely resort! Close to many attractions! Book your floating week today! Three weeks per year- 10, 20 and 34! Weeks 20 and 34 are in a 1 bedroom suite, and week 10 is in a studio. Enjoy golf, tennis and miles of bike paths! Week 31! Buyer may receive a title fee credit, inquire for details!